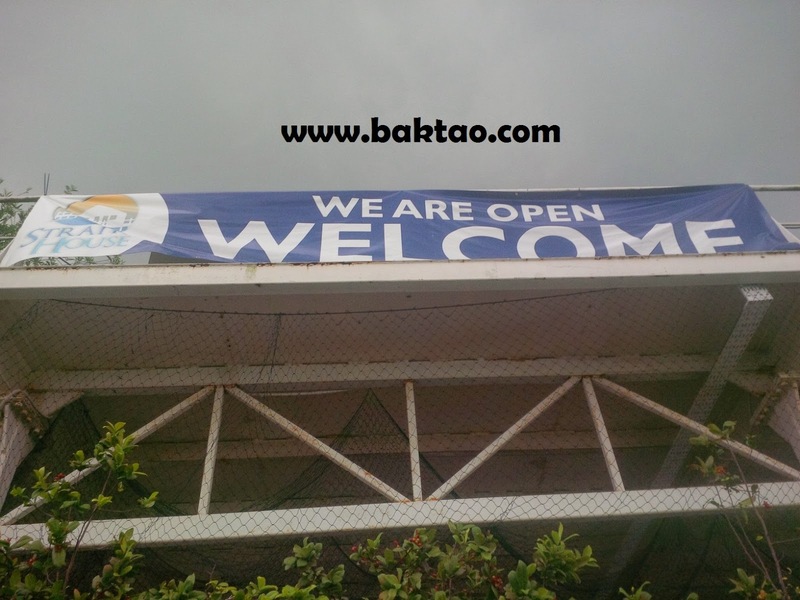 Like Baktao on Facebook to connect with him directly! 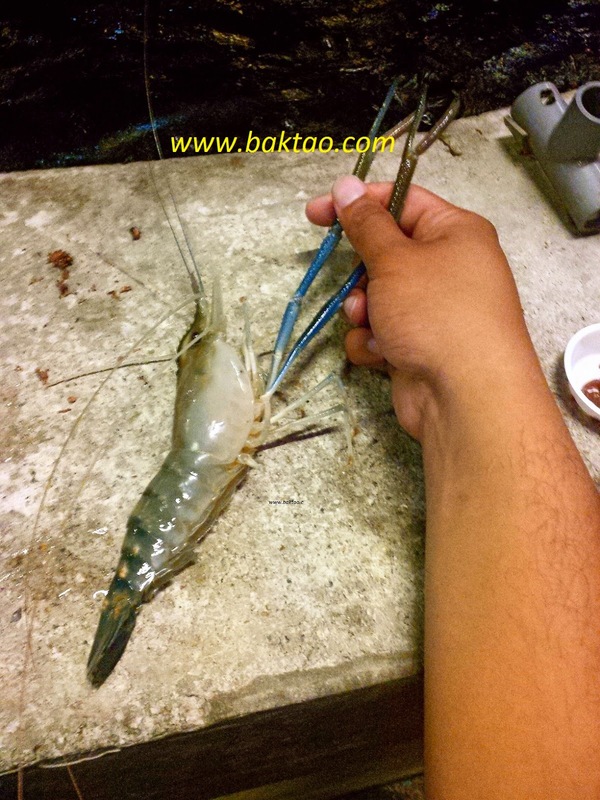 Everyone's itchy for some prawning fun these days but the location that you can do prawning with good catch rate seems to be so few these days... That's why I was pleasantly surprised that Haibin Jurong prawning ponds had good sized, big blue mountain and thai prawns! 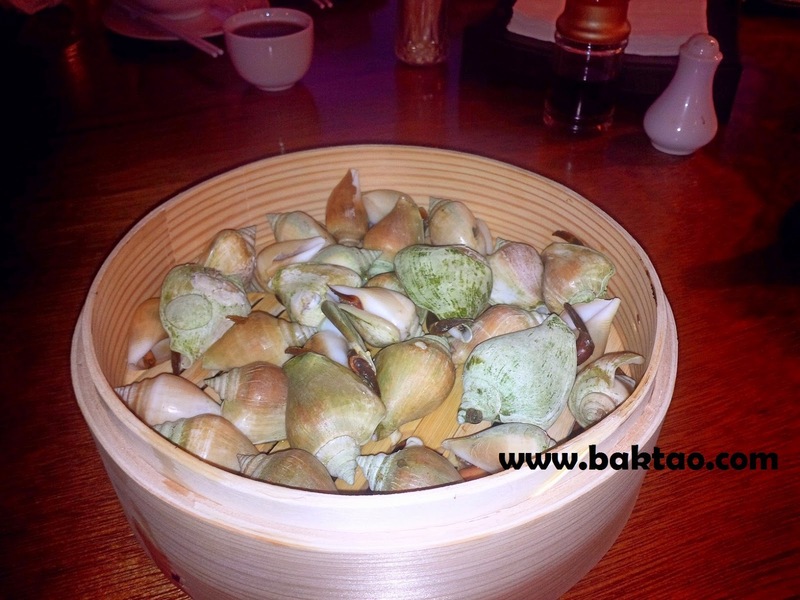 The quantity was not amazing as compared to the old Bishan Haibin but it's always size over quantity for me! Strangely v good size hor? 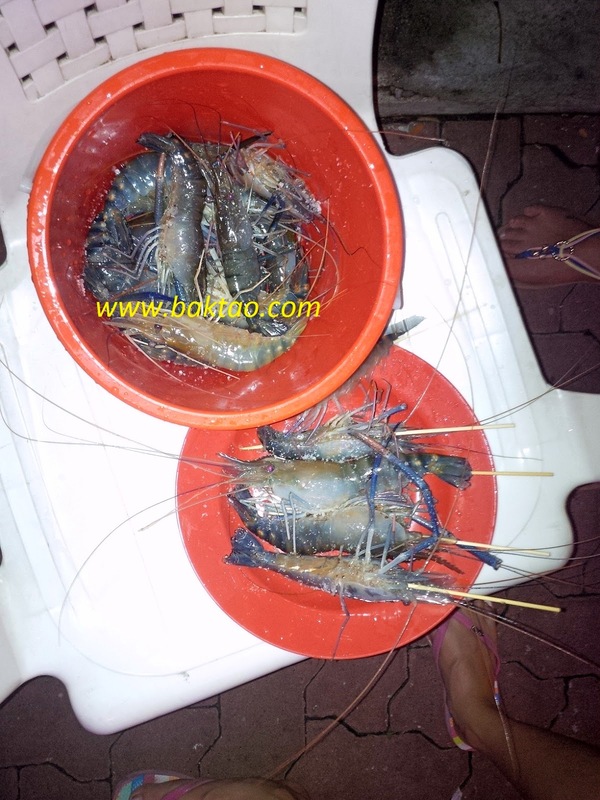 I had a prawning catch up session with a friend and during the 1st hour we were hitting prawns like crazy.... 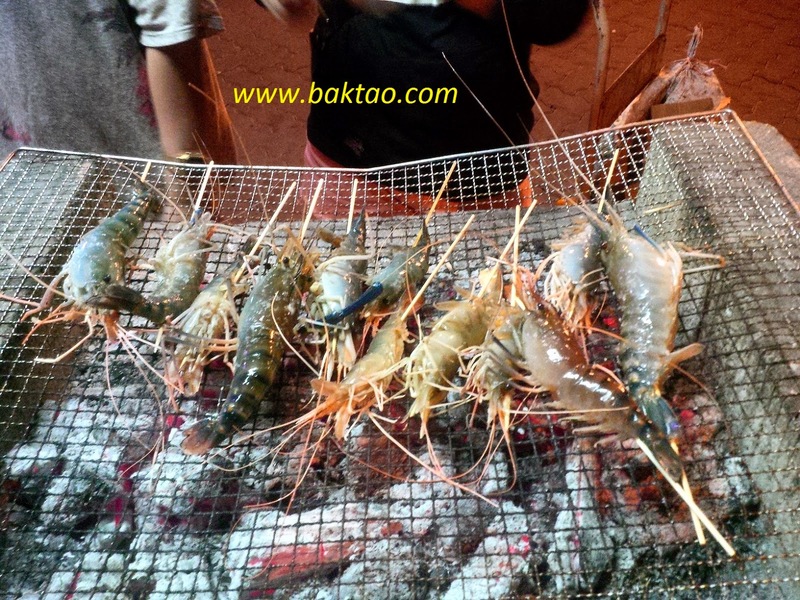 I think all of our 20-30pcs of prawns were hit in the 1st hour. After that the prawns stopped biting! not pro also look pro! 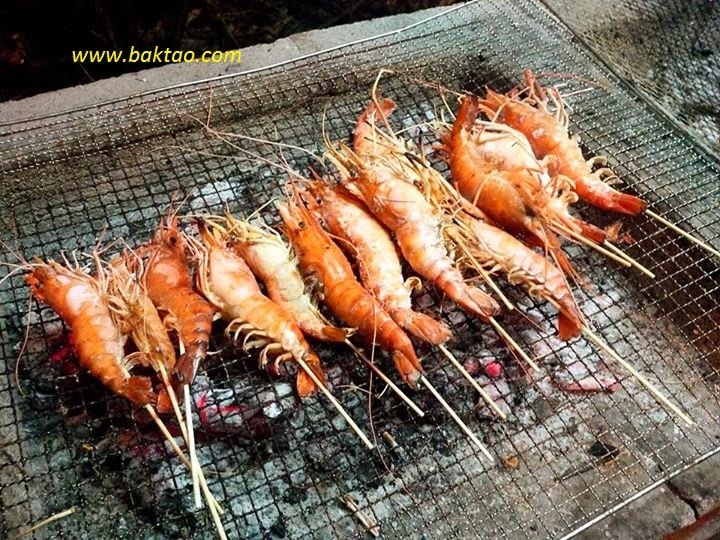 As usual, normal prawning tips apply... prawn near the centre pump and sides will never go wrong! After receiving some very kind comments during my previous post, I'm back! for a post... 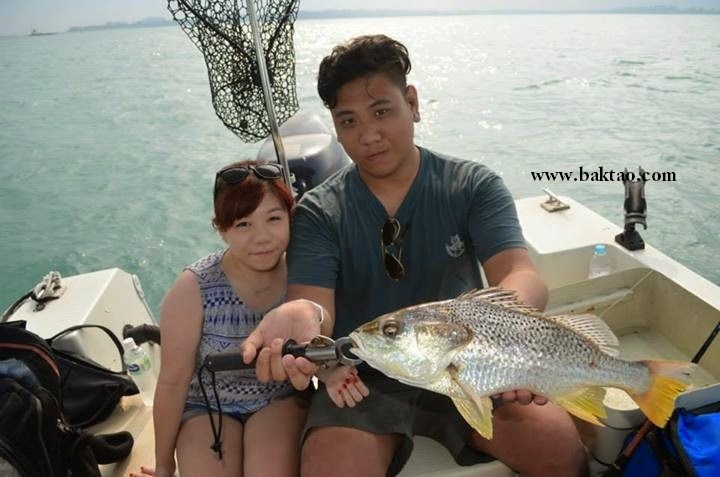 I'm still fishing in Singapore strongly although I find it tough to find time to write about my trips now with work, church, fishing, hobbies taking up time... I'd rather live it than blog it! 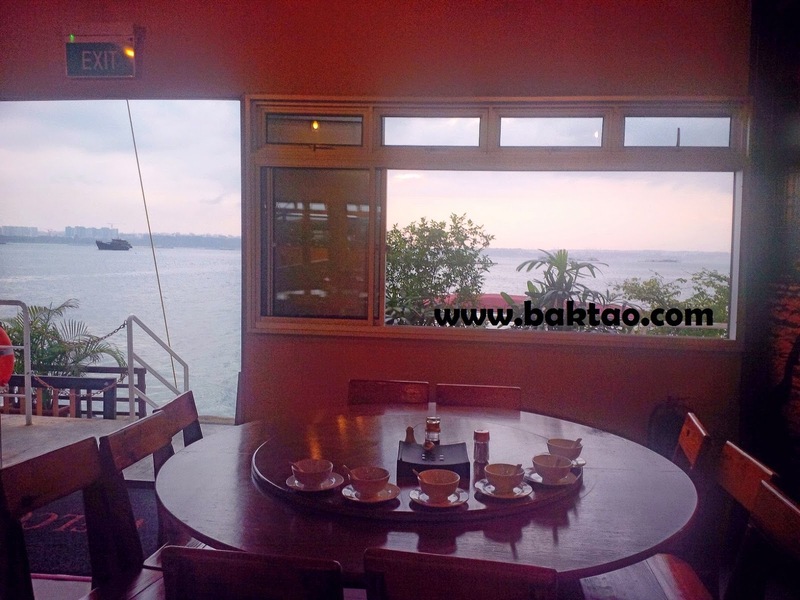 Here's a post on a great restaurant concept that we chanced upon after fishing with Jimmy... Jimmy brought us to this floating restaurant off Pulau Ubin... Smith Marine "Straits House" it was called! 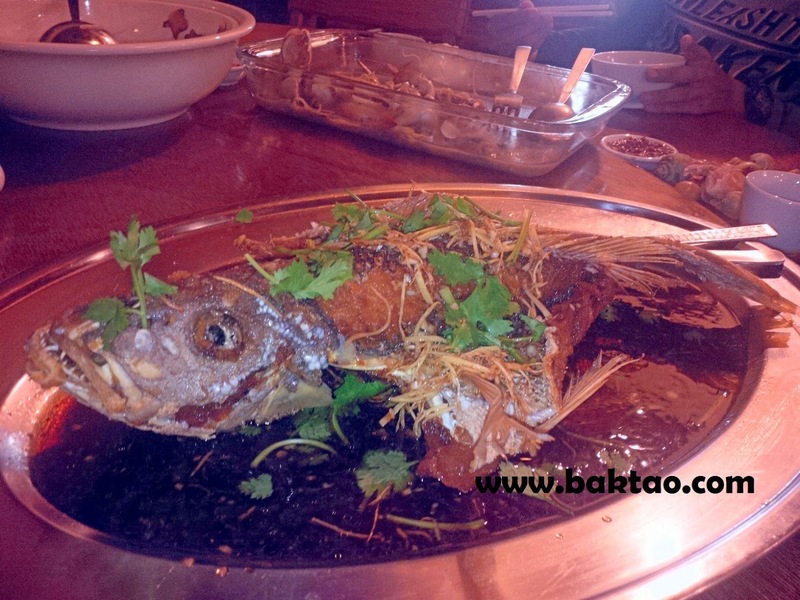 Best thing was that they readily took our fresh catches and cooked them for us! 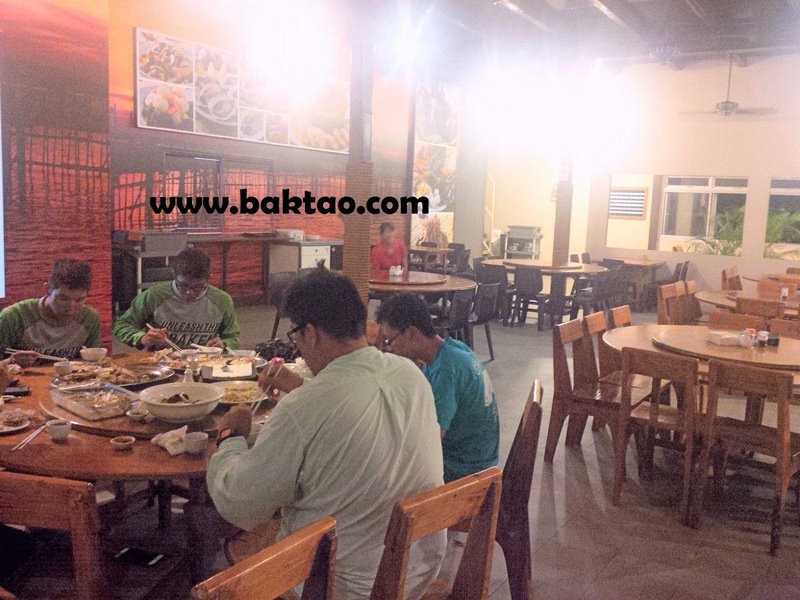 While the restaurant cannot be compared to Jumbo or other more "premium" restaurants, they did the basics right! After a day of fishing.... cook your fish!! We had our fresh catch... and a mixture of live seafood direct from their keep nets! 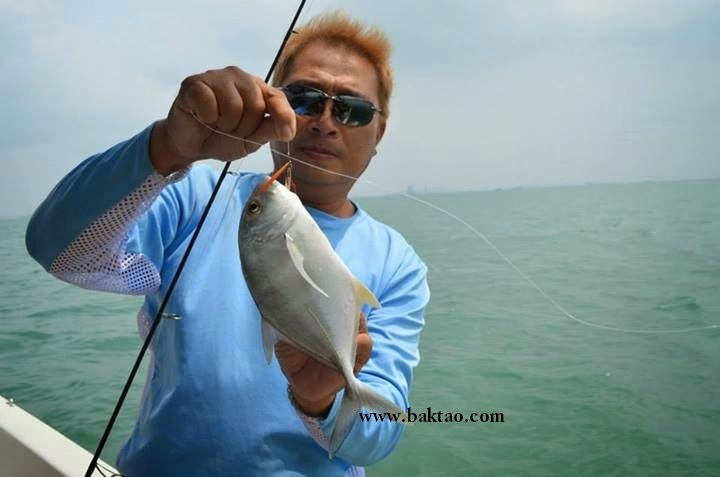 Ah Du even managed to catch a fish there.... Singapore kelong fishing style! No snapper for du today so he paid for one! Hi guys, do help support and like a page of my friend's. 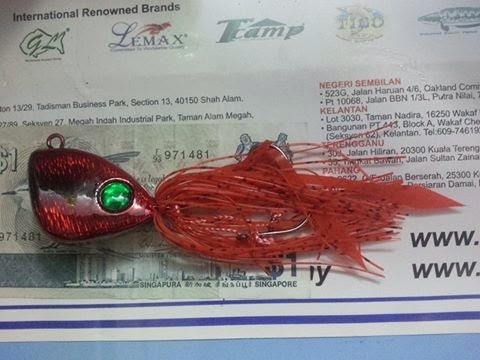 250g Red Madai with Green Eyes: $5.50/pc Deal at Bukit Panjang after office hours or near my offce at NUS Bukit Timah (beside Botanic Gardens) during office hours. I know I know, my blog is inactive! But work takes precedence and until anyone sponsors me to be a full time blogger, priority takes place. But here's a little piece that I wrote for the purpose of a writing test for my job interview. Hope it resonates with some of you because it sure means a great deal to me! 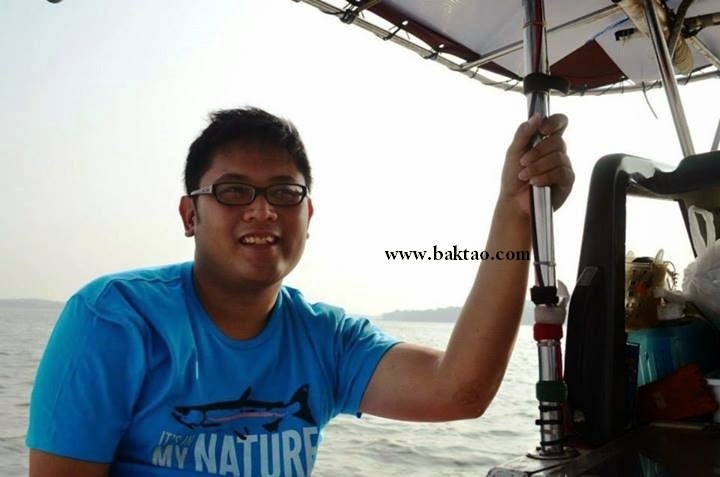 My interest in fishing started at a tender age of 5 when father brought me on a fishing trip to Bedok Jetty. The two of us didn’t have any fancy fishing gear but we made do with our hand line spools. As our trips became more regular and I got increasingly intrigued in the hobby, father invested in some fishing gear for me. It was a dream come true for me as I now had my very own fishing gear and yet father would still use the old hand line spools. Alas, it was always the same old answer that I didn’t like. I gave up. The years went by and the child in me forgot about fishing. As I enrolled into St Andrew’s Junior School, I was taught that academic excellence was the only thing I should excel in. I spent the rest of my childhood competing with other kids in a game of grades. It seemed as though fishing would never come back into my life again. Mingwei and I went fishing together for several years. 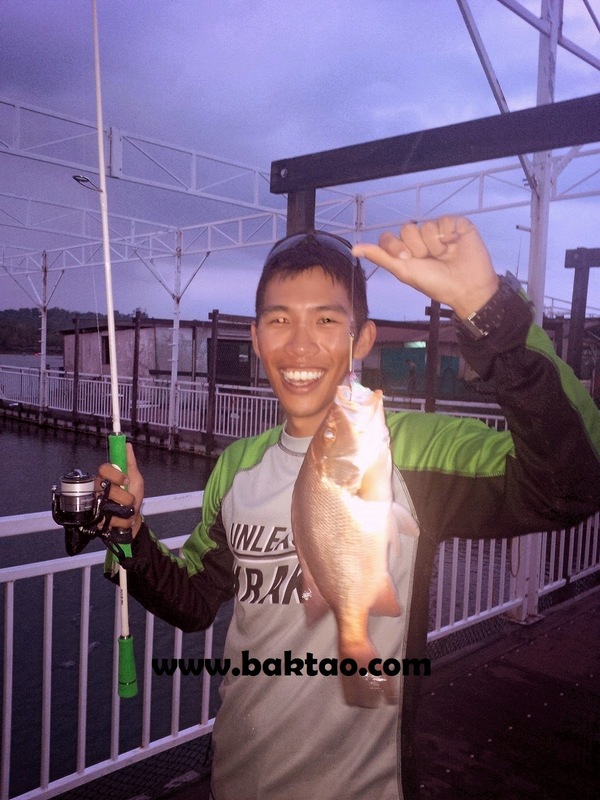 We befriended a vast amount of strangers during our fishing adventures together and very soon we had a fishing “kaki” group. This group comprised of people from all walks of life. We would go to the beaches, jetties, reservoirs, rivers, lakes and ponds all in the name of fishing. This would last for many years to come until National Service came knocking and I had to stop fishing once more due to time constraints. 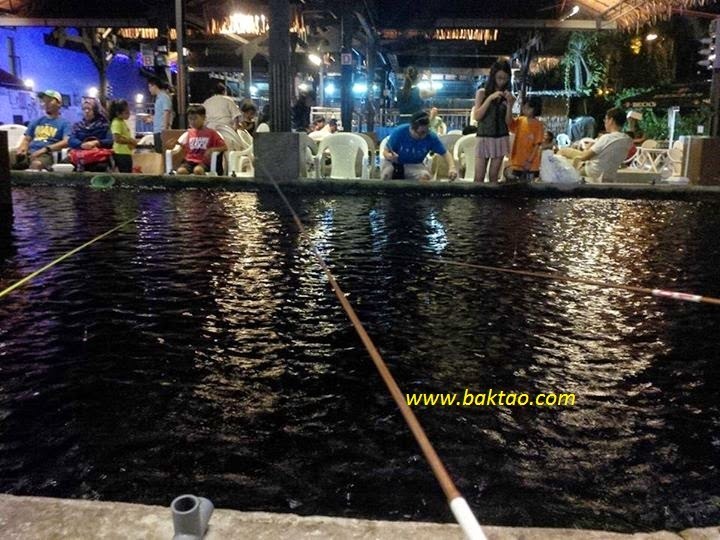 After completing National Service, I wanted to find a way back to fishing but the fishing group was already defunct. 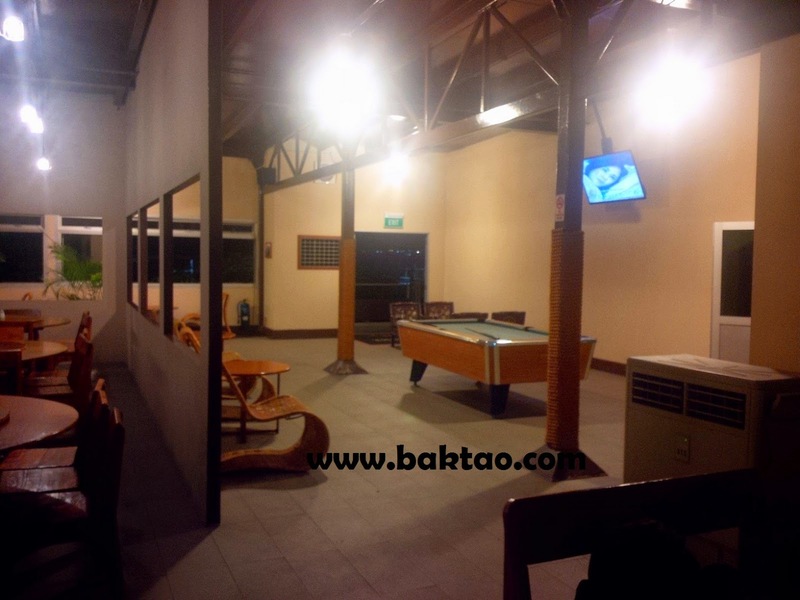 I had also lost contact with Mingwei as other commitments came knocking on his life. There didn’t seem to be a way back into fishing and I was thrown into the familiar state of ambivalence again. Fishing is like an evergreen metamorphosis of hope. I may have lost my way many times, but somehow it always comes back to me because it is represents my life and the way I lived it. Perhaps, this is why I like fishing. Currently busy with my new job so I haven't been posting much... 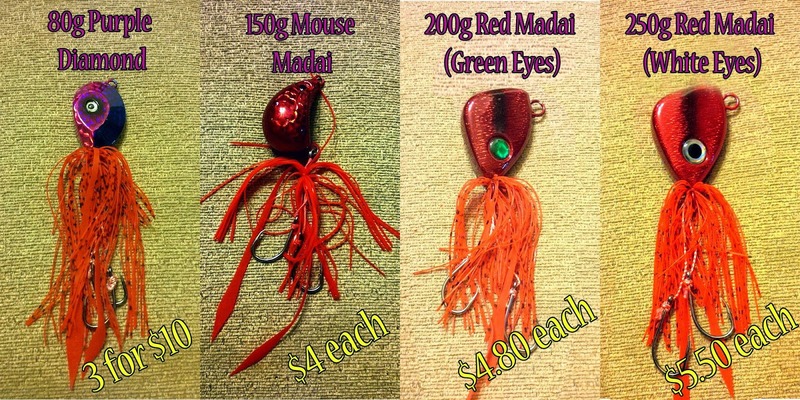 I have some limited stocks of Red Madai 150g though but these are with green eyes! Selling at $5 each or $48 for 10pcs... have about 60pcs left. 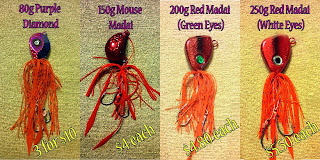 I have some 200g next week too at $6 each... 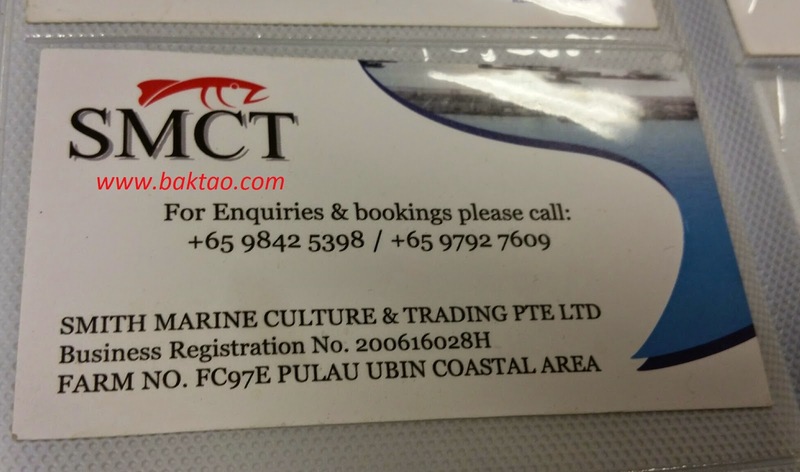 Collect at west side - bukit panjang or botanic gardens area. Email me at nigel.lian@gmail.com to deal! It's not everyday or it's probably not ever that you would be able to get your hair cut onboard but Charter Captain Jimmy Lim did just that for me on my last trip out with him. 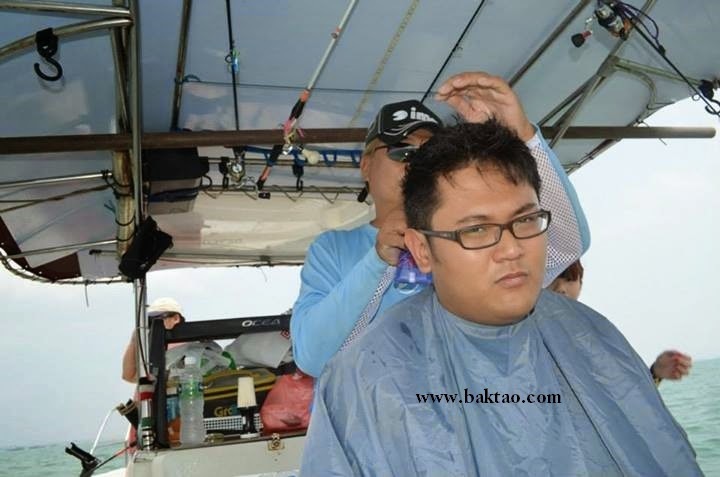 He actually brought his saloon and cutting hair instruments to the boat for me! We started the day with Jimmy hitting some good baby trevallies on jigs but the action was slow and fishing was difficult... Soon, we had the boat anchored while Jimmy whipped out his scissors! 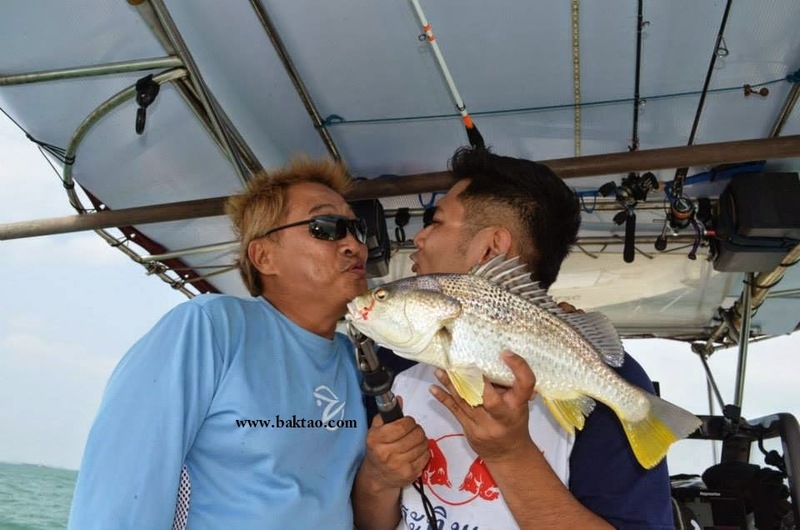 Who said offshore fishing in Singapore was boring? 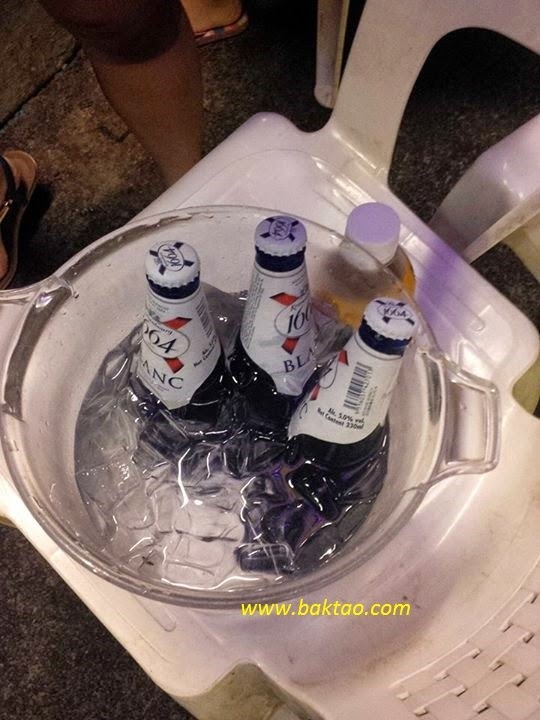 Who said Singaporeans are not creative? After the haircut, the difficult fishing became slightly better as two quick fire Grunters (Guhood) were landed in quick succession by the girlfriend (with some help)! 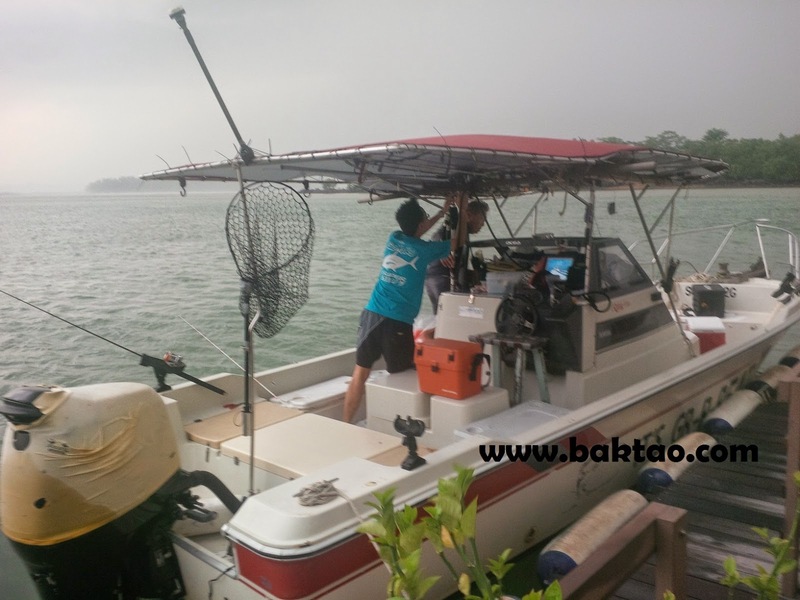 Be sure to try out offshore fishing Salon with Jimmy Lim the next time you go for your Changi or Pulau Ubin offshore fishing trip! 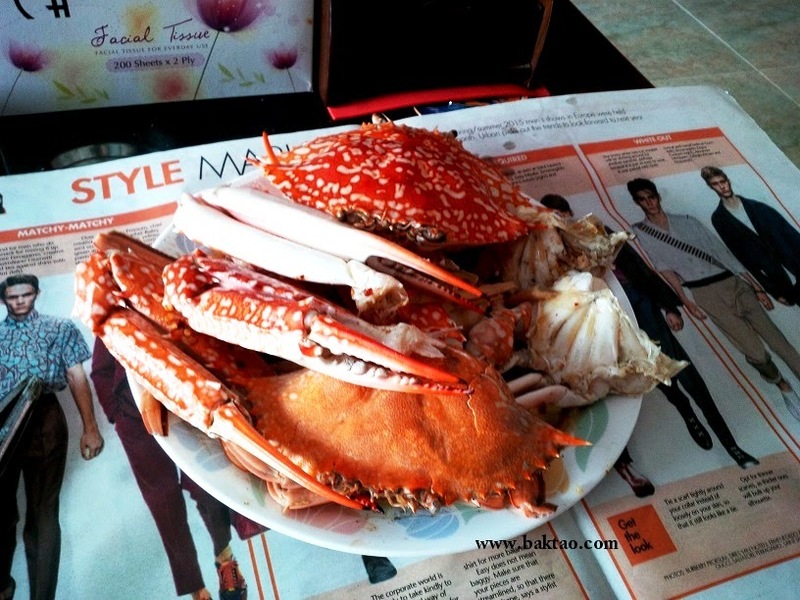 I just gotta have my big flower crabs because I simply miss the fresh sweet taste... 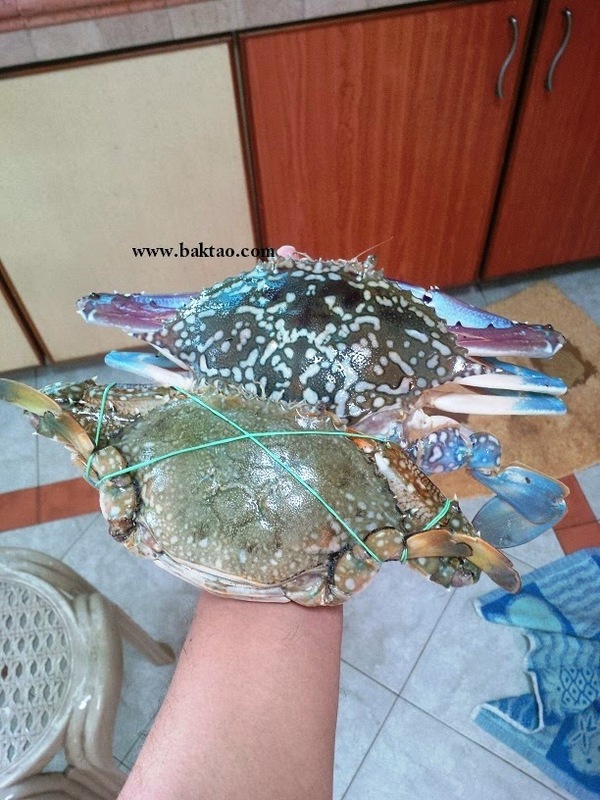 Ever since I stop doing crabbing in Singapore because of lack of good crabbing spots, I turned to NTUC... Luckily, Bukit Panjang Plaza NTUC sometimes has surprises during the flower crab season and this time I chanced upon some very large male and female flower crabs on sale at $12/kg. 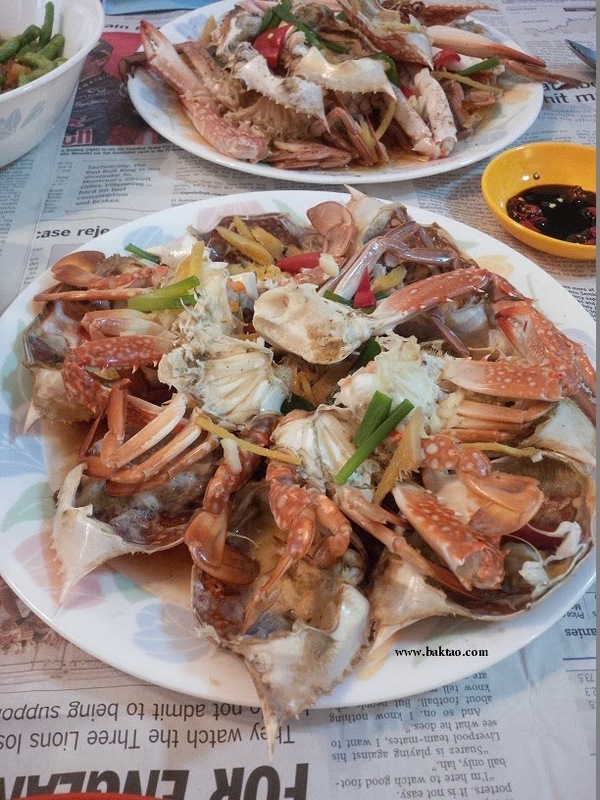 These were not live and were covered with shaved ice... but no matter because they were fairly fresh (for flower crabs standards) and they were super meaty at an average of 800g a crab! The females were huge too! 2) Remove the head by pulling it off. 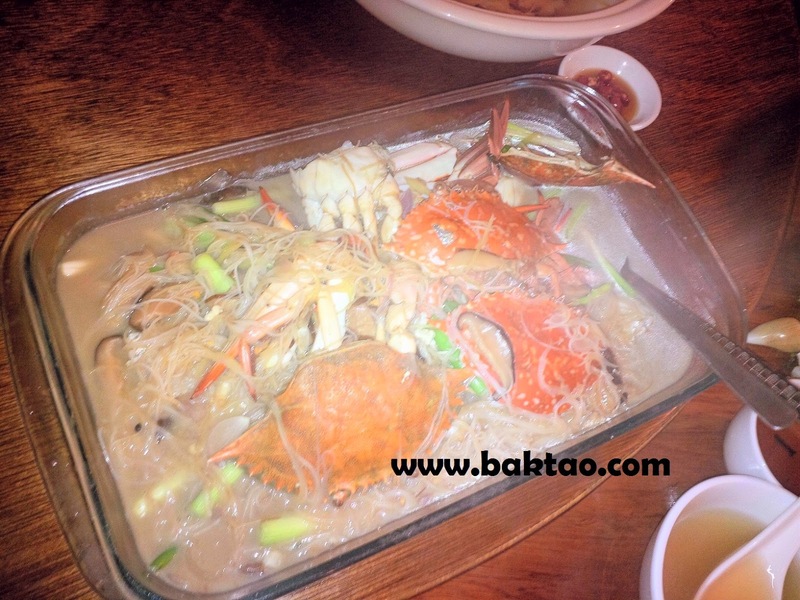 5) Give the crab some water to bathe with and you're all ready! 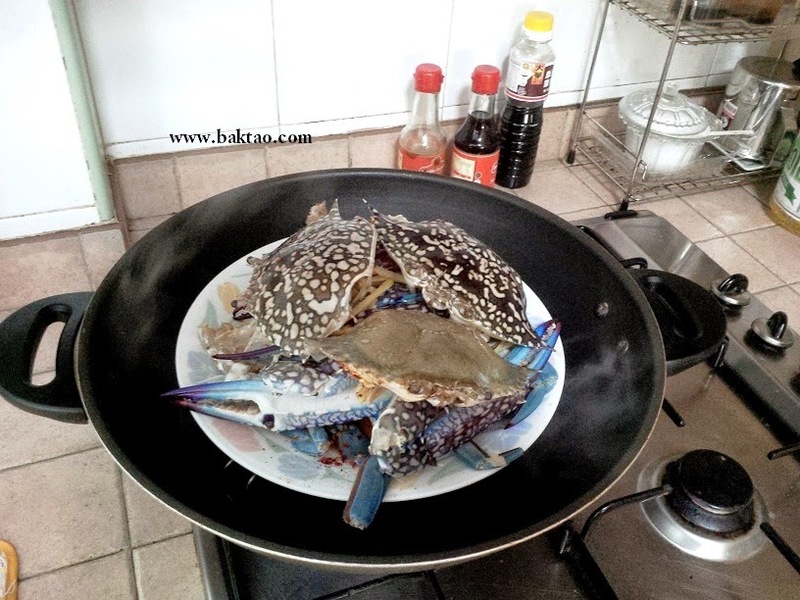 Craving for some extra large flower crabs? 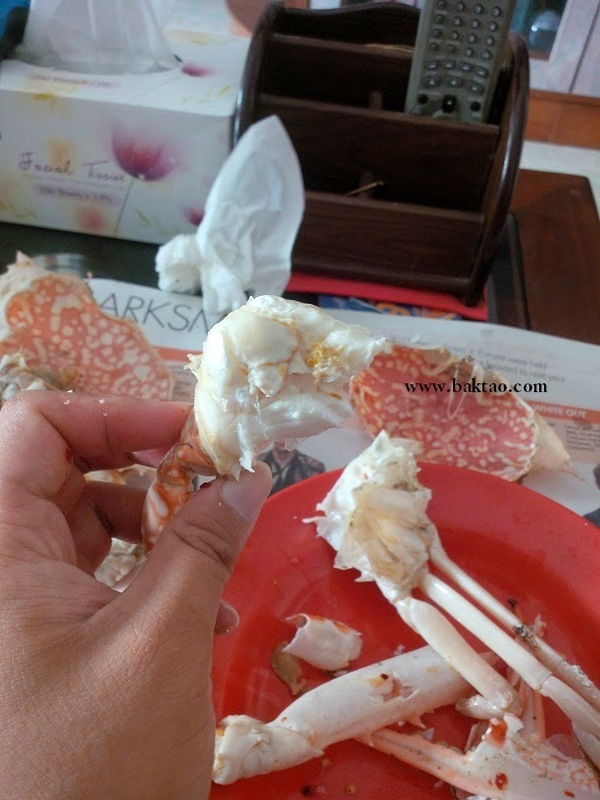 My favourite portion of crabs... the body "drumstick" area! 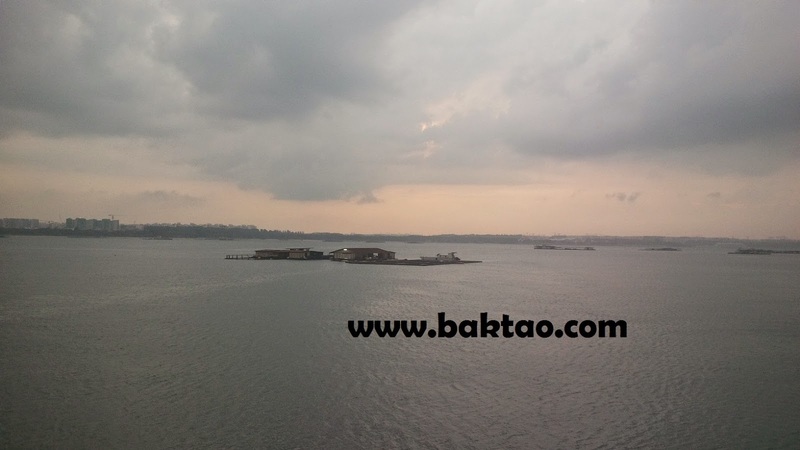 In the past, I used to frequent Changi Offshores and Boat-fishing. 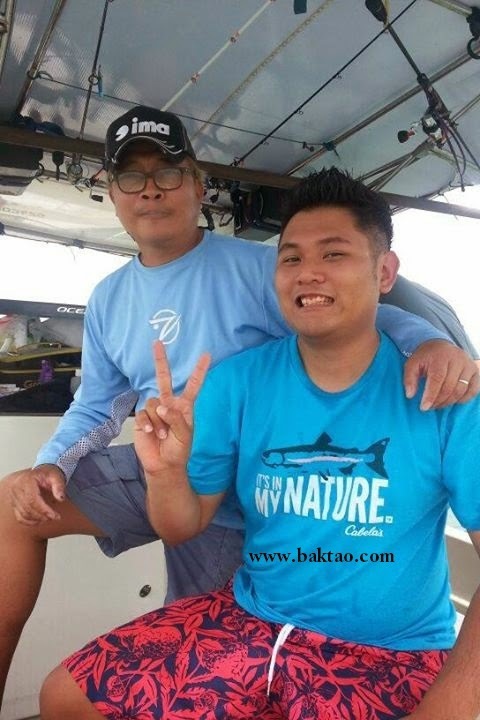 This would mean I had a lot of opportunity to interact with local fishermen and kelong owners. 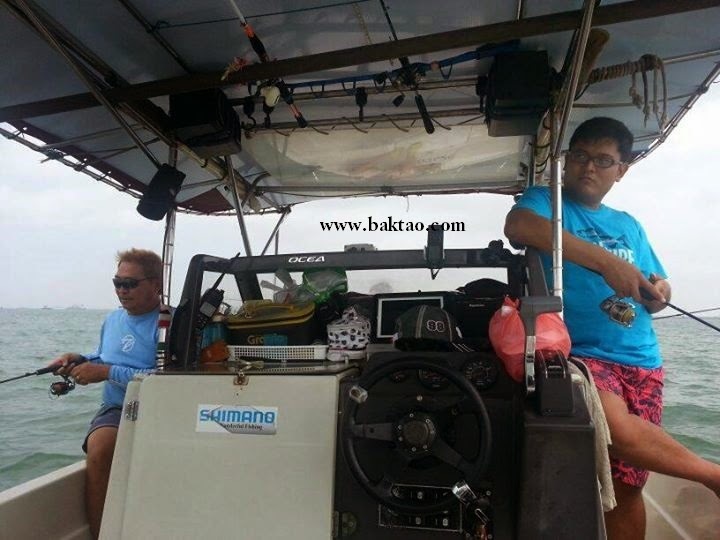 We would pass by kelong owners who were setting out nets and would sell their catches to us for a good quickie price. 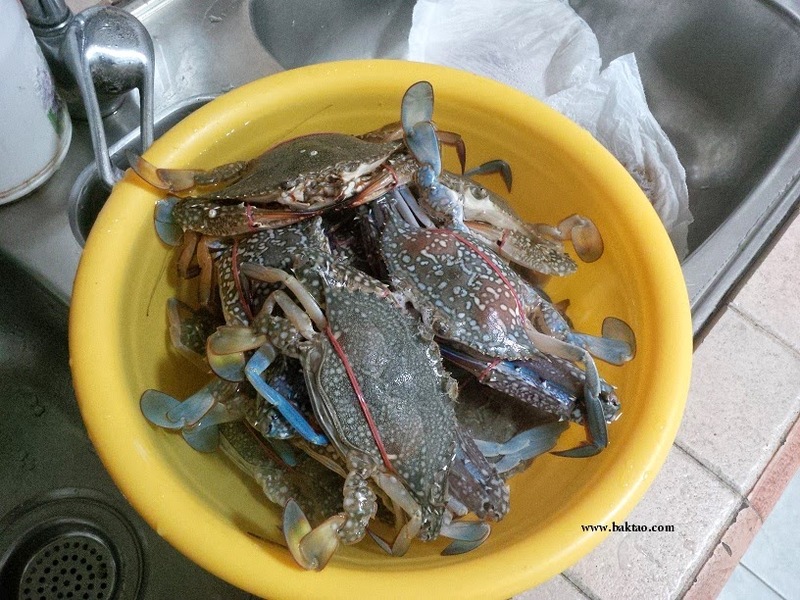 This was how I came to know about Live Wild Flower Crabs and their awesome freshness/sweetness that no other crabs can provide! 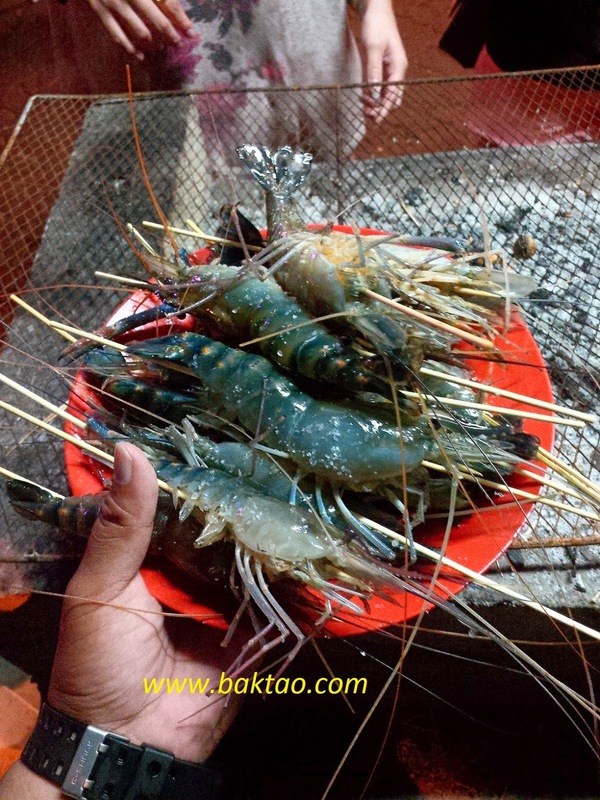 We used to buy them from local fishermen and netters at $4-$6 per kg and this was very cheap considering these were freshly caught (still alive!). 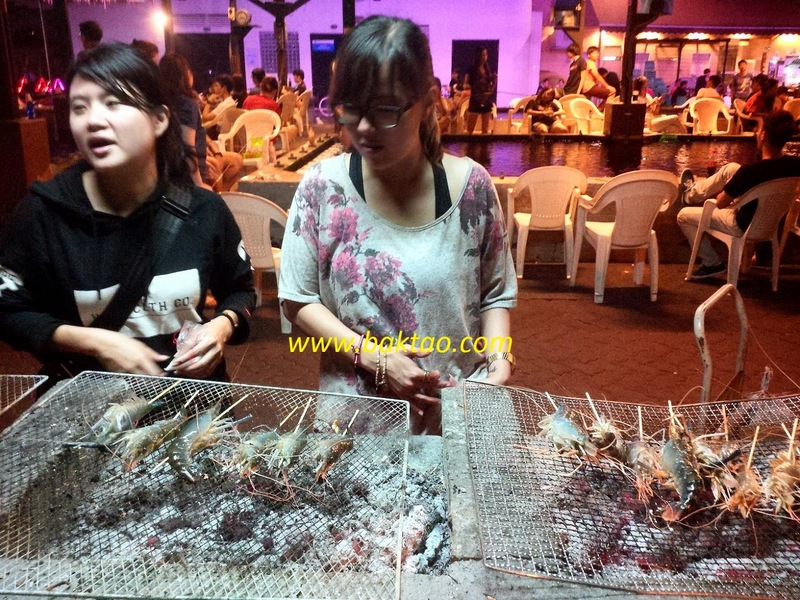 The netters would sometimes throw in mantis and tiger prawns for free out of good will! 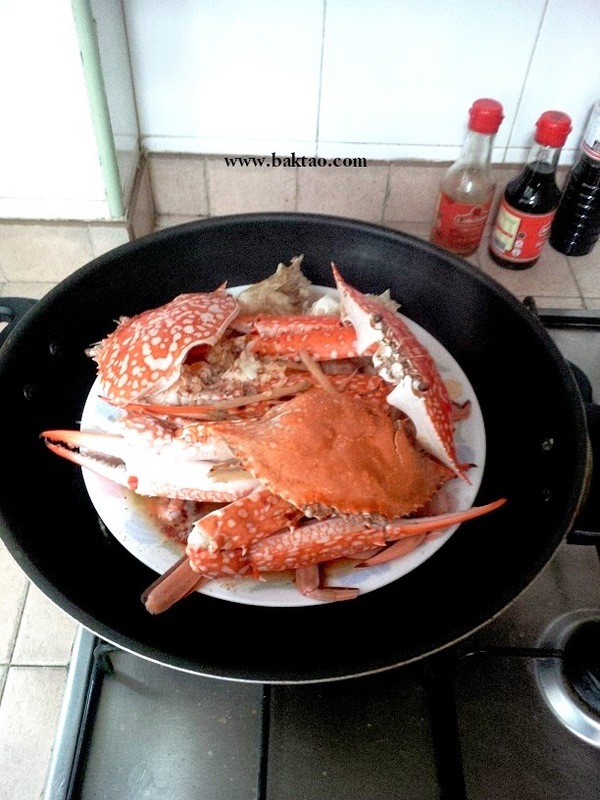 The main benefit of eating wild flower crabs is that the meat is not mushy but very firm. 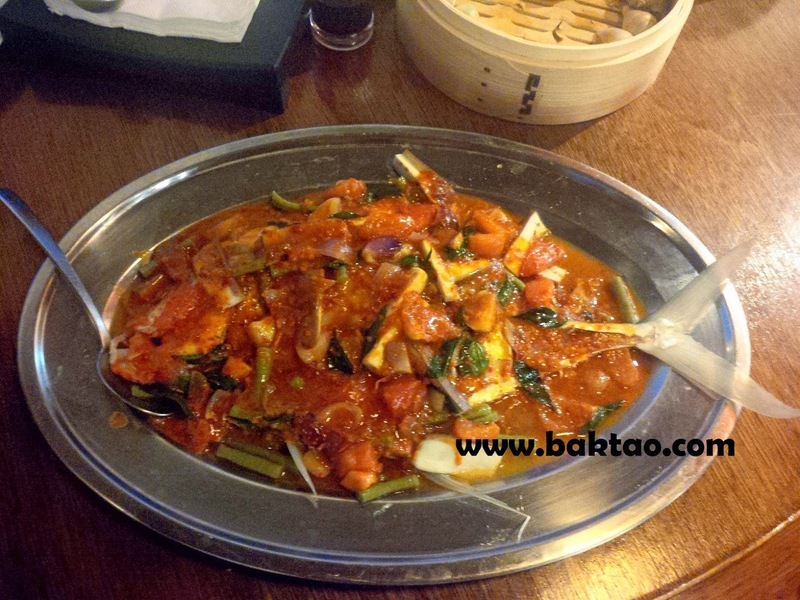 The meat is also very sweet and appetizing! 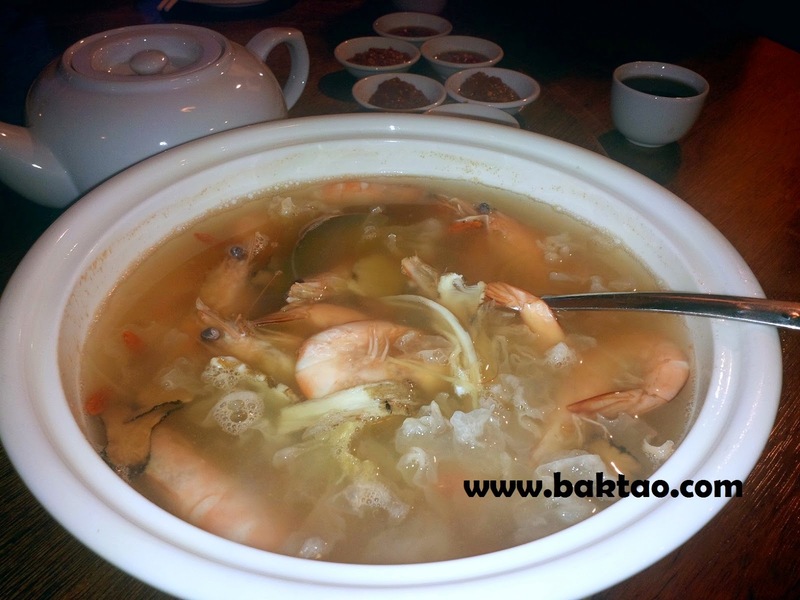 Compare this to market crabs from NTUC or even wet market and it is a NO CONTEST! 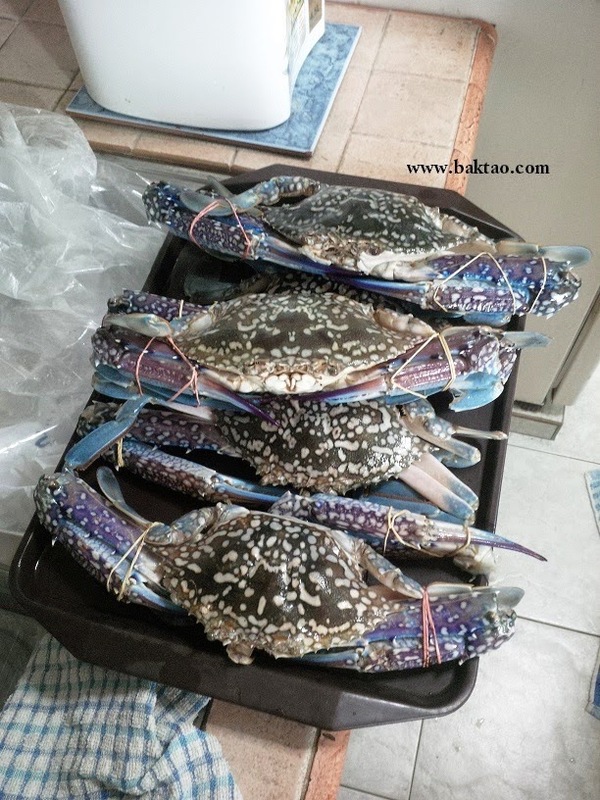 Crabs bought at markets often spend hours inside ice or can even be the previous day's catches. 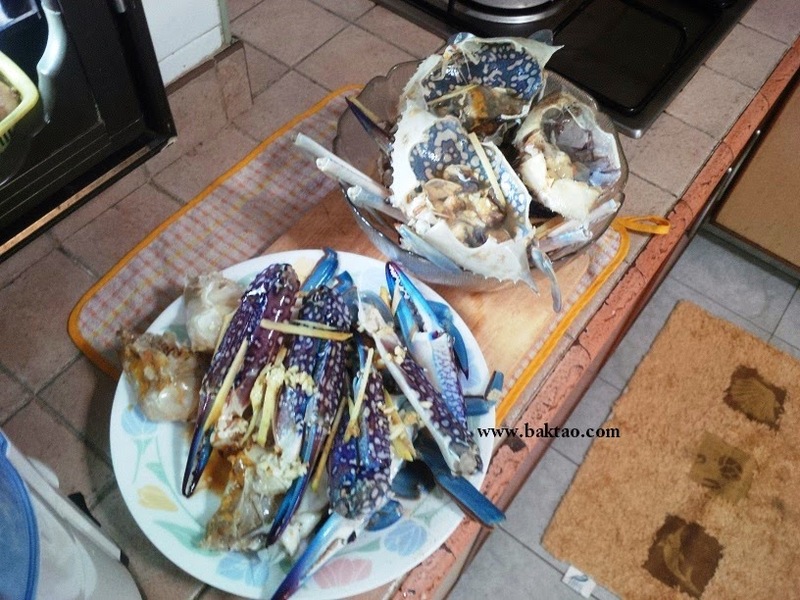 Till this day, I believe that inferior quality flower crabs are one of the reasons that Singaporeans prefer mud crabs to flower crabs. Personally, I would still go with a freshly caught giant flower crab any day! 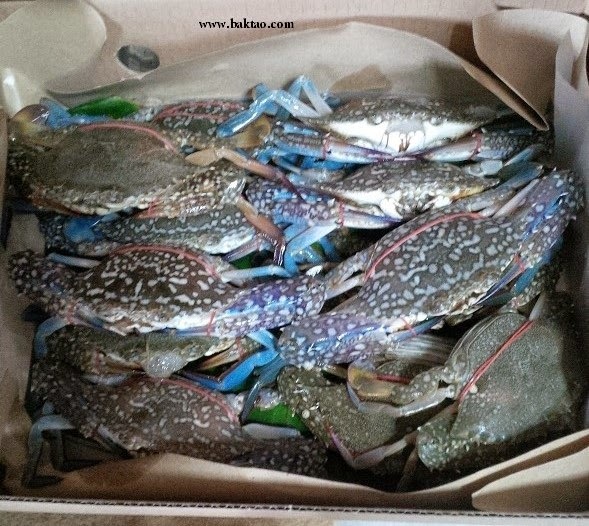 Imagine one day when I found out Ah Hua Kelong sells these live flower crabs and even provides home delivery! 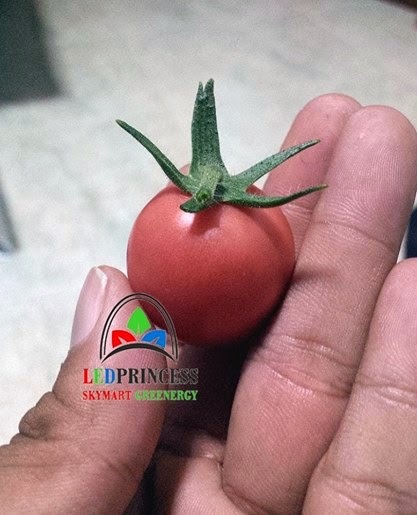 At $30/kg, it was slightly pricey since you can get big ones from the tank at Sheng Siong or markets at roughly the same price. But like I said, we pay the premium for the work done to harvest these crabs by hand. 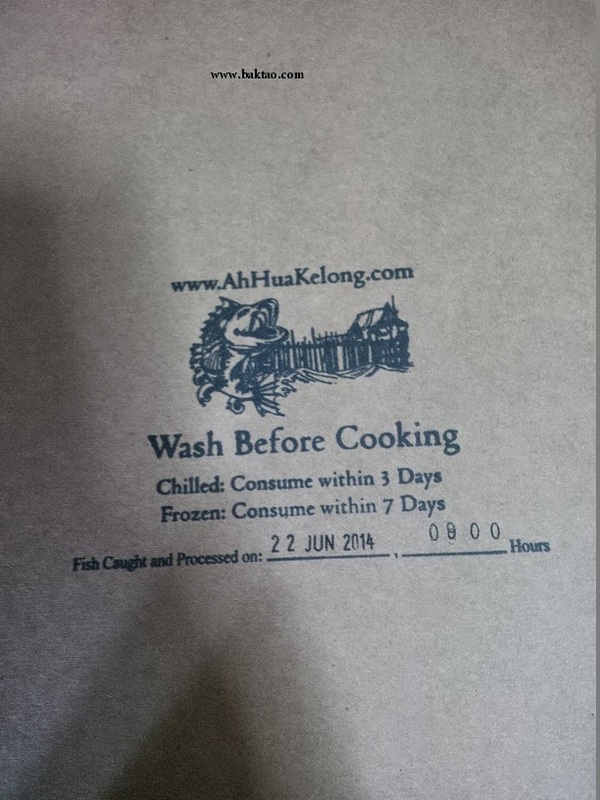 When Ah Hua's crabs finally arrived, I was surprised that it was so professionally packed with date of catch and so on. The crabs were even still alive! Which is a sign that it was just caught. 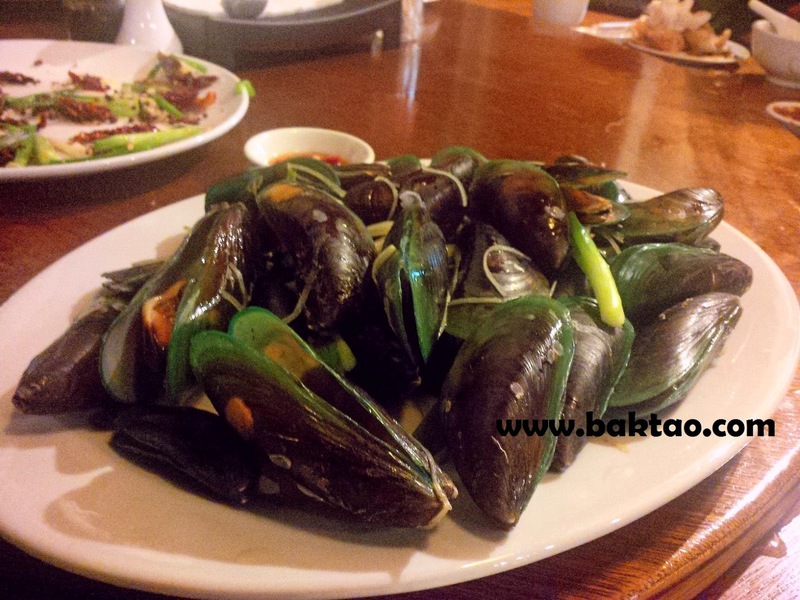 The sizes were not big but medium sized and still good for eating although I was hoping for something bigger. This was because compared to market, these live flower crabs are probably caught from estuary or inshore spots with not so deep water. This sounds legit as it matches the area of Pasir Ris sea. 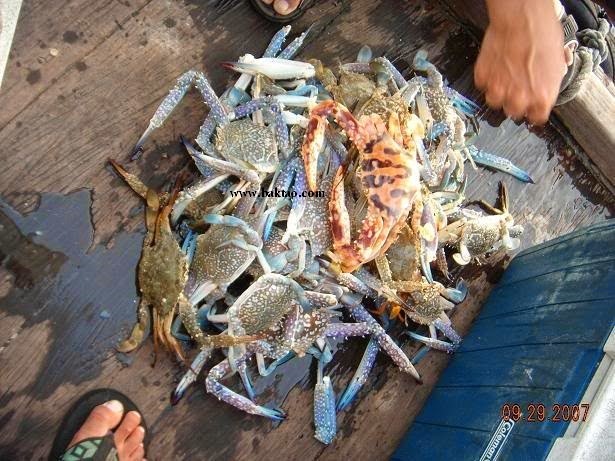 For bigger flower crabs, you would have to head to offshore areas like Labrador park coastal areas. 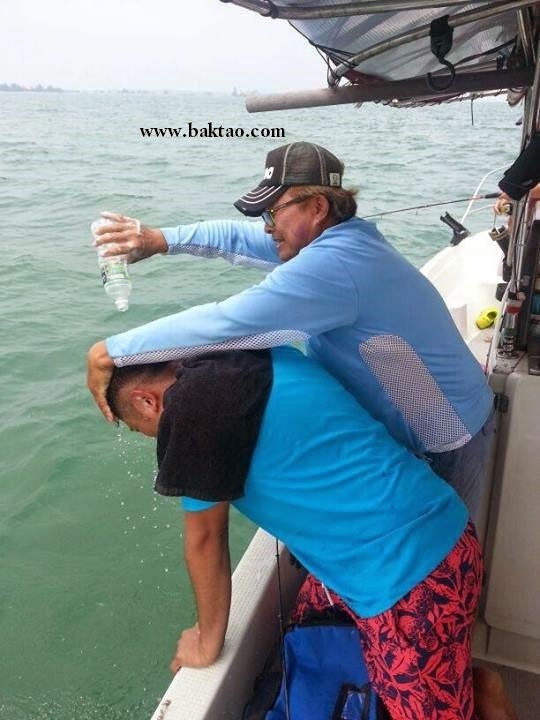 Keeping them in some salt - water! 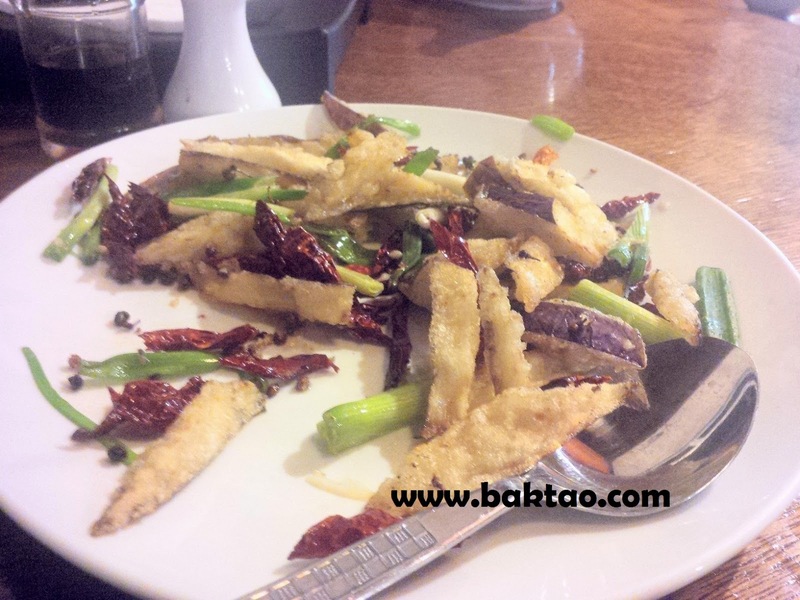 Anyway back to the crabs, I was very satisfied with the freshness - live wild flower crabs can't go wrong! Preparation would be standard way - light soy, Chinese wine, chilli, ginger and steam... Woohoo!